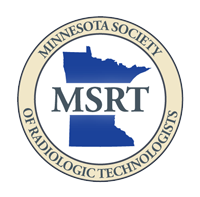 The MSRT is looking at pursuing licensure for Radiological Technologists in Minnesota. The MSRT feels licensure is the best radiation regulatory model to ensure proper medical radiation care for the public in Minnesota. Please contact us for more information and to learn how you can help our initiative. Occupational Licensure is a way for a governmental agency to grant time-limited permission to an individual to practice a given occupation after verifying that they have met standardized criteria (usually education, experience, and examination).